For consumers with big credit card balances, now is a very good time to consider transferring those balances to cards offering better terms on the interest on those balances. 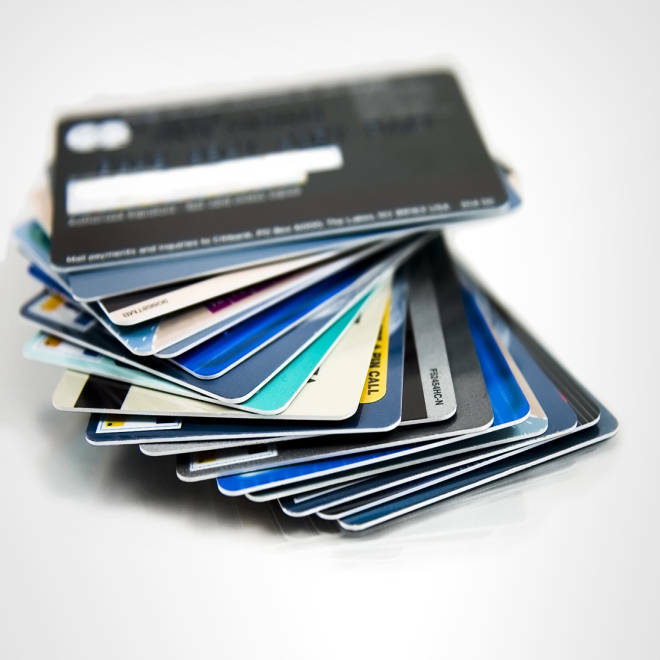 Nobody wants to carry a big balance on their credit cards. Those interest payments can really eat into the family budget. If you have good credit, you might want to move that balance to a better card — one that won’t charge interest on that old debt or on new purchases for between six and 15 months. “The balance transfer offers out there right now aren't just good, they're great. They're the best I've ever seen,” said John Ulzheimer, president of consumer education at SmartCredit.com. The average zero-percent interest introductory offer for balance transfers is now 10 months, according to the new Credit Card Landscape Report from Cardhub.com. Last year, it was 8.9 months. Card Hub’s CEO Odysseas Papadimitriou told me he believes these no-interest transfer offers are about as good as they will get. Why are credit card companies making such super offers? They want new customers who won’t default on their payments. “And the end game for them is that, hopefully you won’t pay off the entire balance that was transferred and you will start paying interest once the ‘safe harbor’ period expires,” Ulzheimer said. The caution with any balance transfer card is to read the terms and conditions. Make sure you understand the entire offer. “All of these cards sound great, but the devil is in the details,” said Bill Hardekopf, CEO of Lowcards.com. Most of these offers involve a “transfer fee” of 3 to 4 percent. That fee applies to the full balance at the time you make the switch. Move $6,000 to a card with a 3 percent transfer fee and you’ll pay $180 upfront. Your goal is to get the longest no-interest period possible and the lowest transfer fee. “Remember, if you are late on any payment on a balance transfer card then you might forfeit the introductory period and the interest rate might jump to the ongoing APR,” Hardekopf said. Chase Slate: This is their favorite right now. It has zero percent interest for 15 months on both balance transfers and new purchases. There is no transfer fee if the balance is moved to the card within 60 days of opening the account. Citi Simplicity MasterCard: The zero percent interest period is 18 months for both balance transfers and new purchases. That’s the longest grace period you can get right now. There is a 3 percent transfer fee. Discover More: Zero percent interest for 18 months on balance transfers and for six months on new purchases. There is a 3 percent transfer fee. Card Hub has a new Credit Card Payoff Calculator that will let you compare balance transfer offers. A balance transfer may be the way to dig yourself out of debt That old balance isn’t costing you anything during the interest-free grace period. You goal should be to pay it off before the regular interest rate kicks in and not to run up a new balance you can’t handle. This PenFed Promise card, which is available to members of the Pentagon Federal Credit Union, has no transfer fee and an incredibly low interest rate (currently 4.99 percent APR) which is fixed for the balance transferred until you pay it off. Membership in the credit union is free to military families, federal employees and members of certain organizations. Others can join for a $15 donation to nonprofit group that serves military families. Based on its analysis for the November issue, Consumer Reports says Simmons and Iberia Bank also offer cards with low APRs on balance transfers.